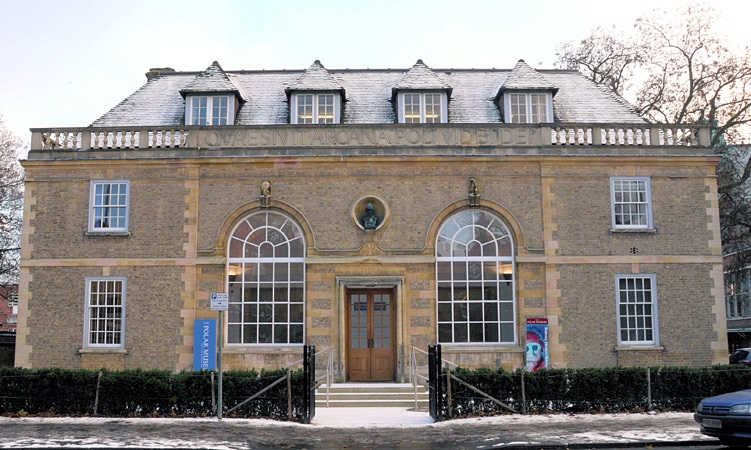 The Scott Polar Research Institute, part of the University of Cambridge, was founded in 1920 as a national memorial to Captain Robert Falcon Scott and his four companions, who died on their return march from the South Pole in 1912. Today, the Institute is renowned as a centre of excellence in polar research, but also houses the Polar Museum, a finalist in the 2011 Art Fund Prize competition for Museum of the Year. The Museum’s collection has been acquired largely through donation and today holds around 2,500 works of art, ranging from watercolours and sketches by E. A. Wilson from both of Captain Scott’s Antarctic expeditions, via Inuit sculpture to modern works inspired by the polar regions in a variety of media. The oil paintings in the collection include some fine portraits; as might be expected, the most famous British Antarctic explorers, Scott and Shackleton, are represented, but the collection includes many well-known figures from nineteenth-century Arctic exploration, such as James Weddell, William Edward Parry, James Clark Ross, Sir John Franklin and Admiral Sir Francis Leopold McClintock. Works by George Marston depict Shackleton’s ill-fated Imperial Trans-Antarctic Expedition, 1914–1917. 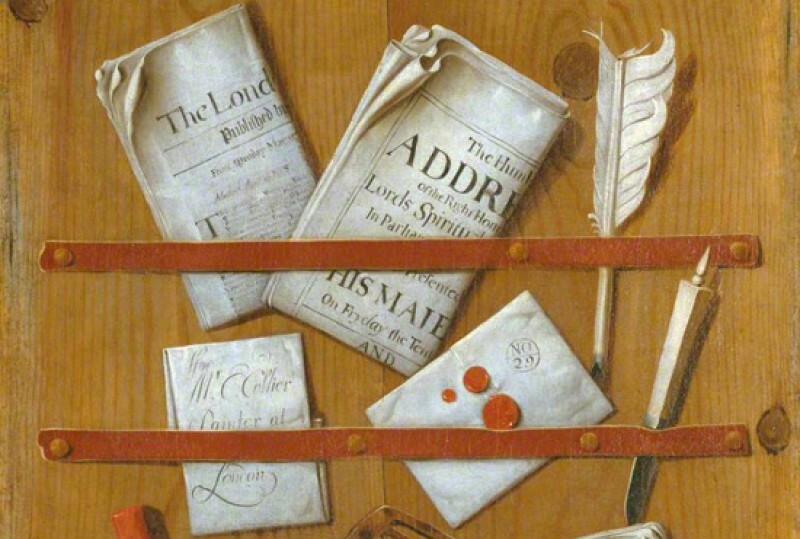 These were painted after the return to England, as Marston’s oil paints were famously confiscated by Shackleton to help caulk the seams of the lifeboat. This small boat, the 'James Caird', was used to effect the rescue of the crew stranded on Elephant Island in the Southern Ocean after the expedition ship 'Endurance' was crushed in the pack ice. The Museum is reliant on charitable donations, gifts and sponsorship. We are indebted to the Friends of SPRI and other supporting bodies, including the Victoria and Albert Museum Purchase Grant Fund, who have enabled us to make acquisitions which we could otherwise not afford. We are also very grateful to our lenders, whose willingness to support the Institute makes many works available for research and for public enjoyment.